Psssst……Pluto is really okay, but I still need your assistance. 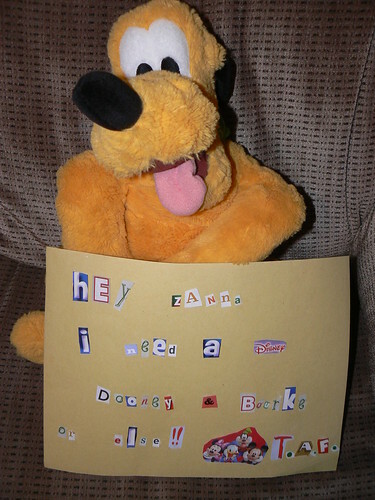 I entered the photo above in a contest on Zannaland to win a Disney Dooney & Bourke wristlet. This is what I had hoped to get in February when we were visiting Disney. On our last morning there, my little guy had a fever and I never made it to Downtown Disney. So this is my chance. If you would please head over to the contest page and vote for #5 – that’s the photo you see above.